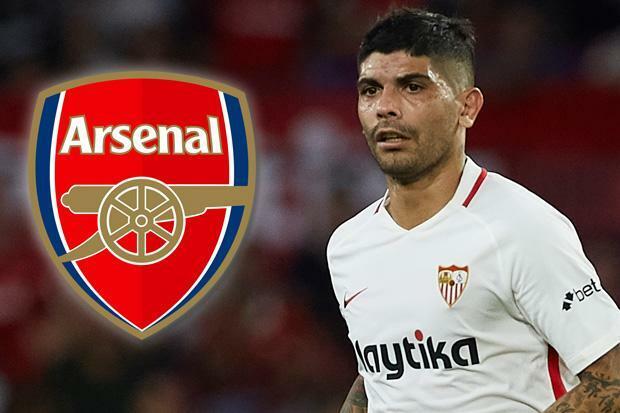 Arsenal keen on signing Sevilla player Ever Banega and preparing to make an offer during the winter transfer window. Gunners have problems in the midfield as Aaron Ramsey planning to leave the London club and his replacement is necessary. Argentina international is the perfect choice in this situation as he started this campaign excellently and proved his greatness one more time. Unai will do everything to add him during the January. Ever joined the Spanish club from Inter in 2017 with a €8m deal. He became an unchanged figure for the club and played many games impressively since joining. In this season, Banega already made 21 appearances, scored 7 goals and made 3 assists in all competition.This is an amazing result and he can improve his consequences with high-class partners. The 30-year-old midfielder is contracted with the El Grande de Andalucía until 2020 and his release clause is around €20m. Be the first to comment on "Arsenal boss Unai Emery determined to lure No.10 Argentina international to Emirates"